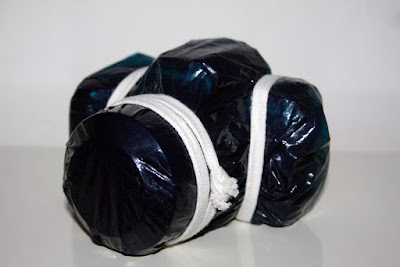 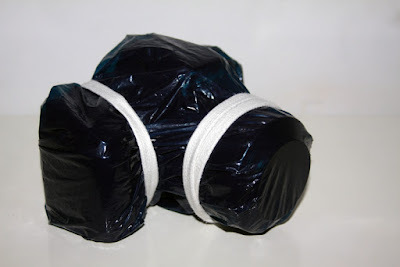 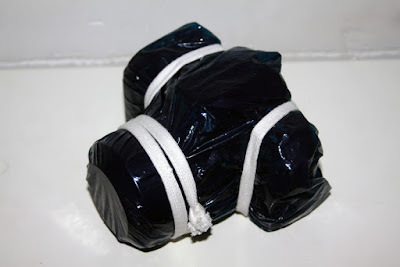 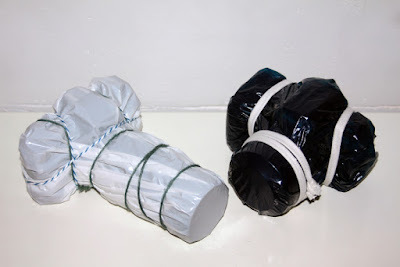 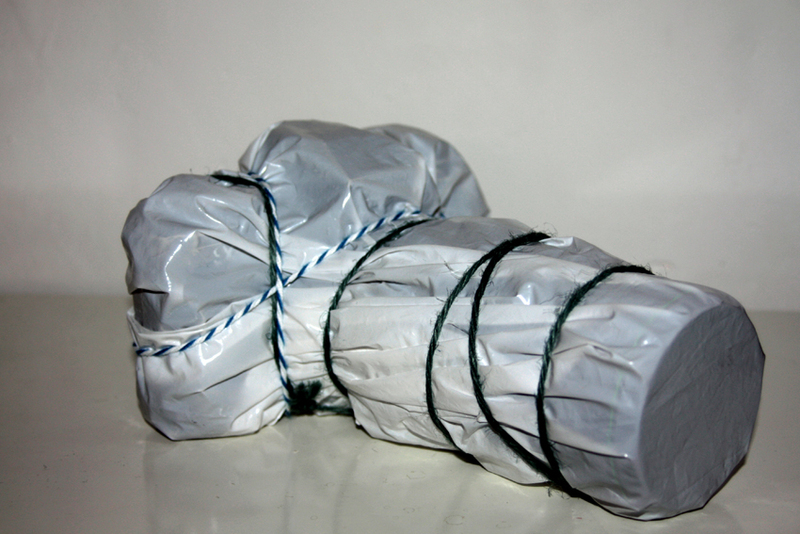 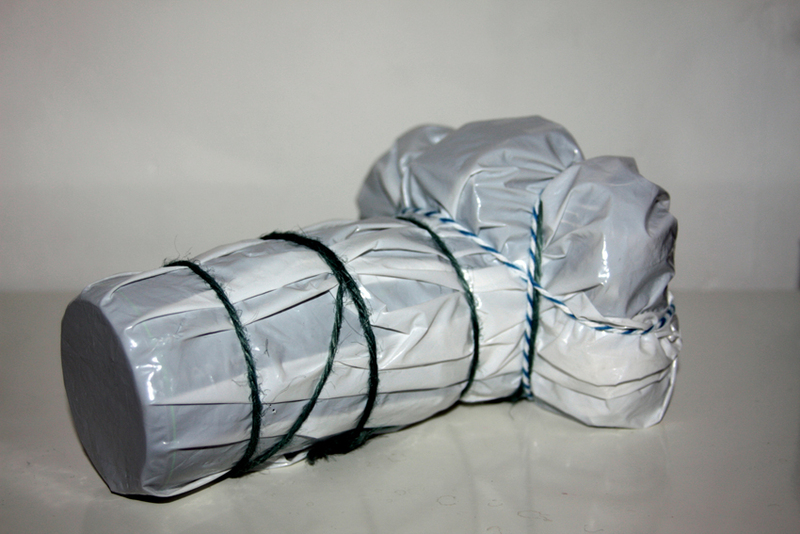 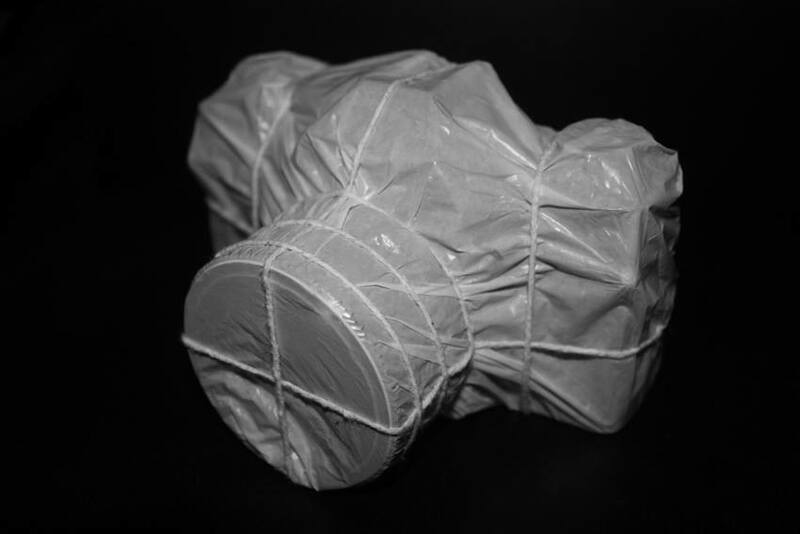 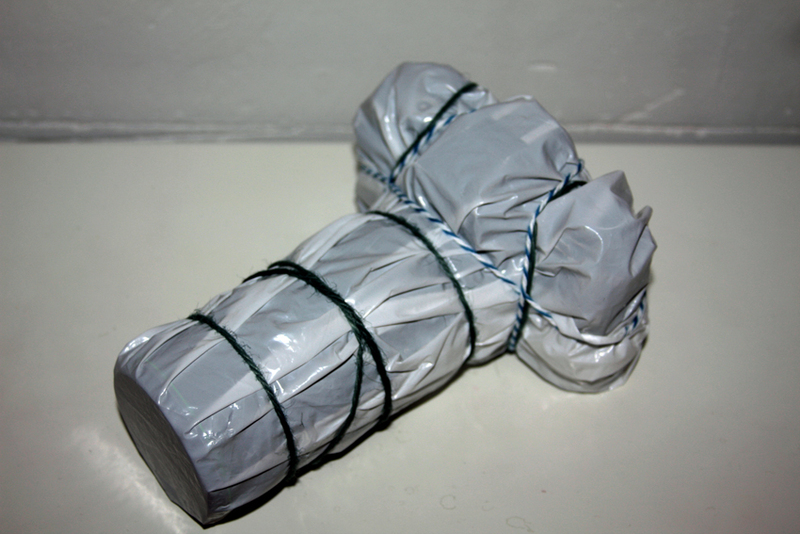 Some years ago, it was in 2009, I packed an old camera in a plastic bag and tied it with a rope. 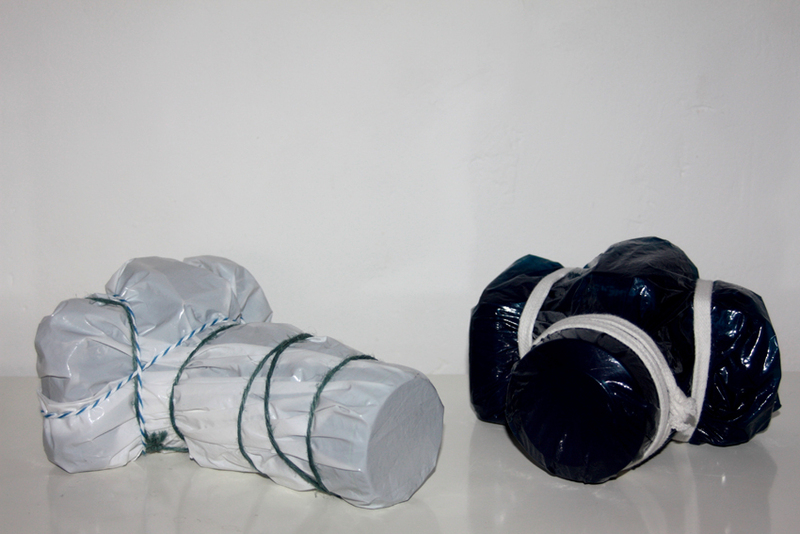 It was a cool installation. 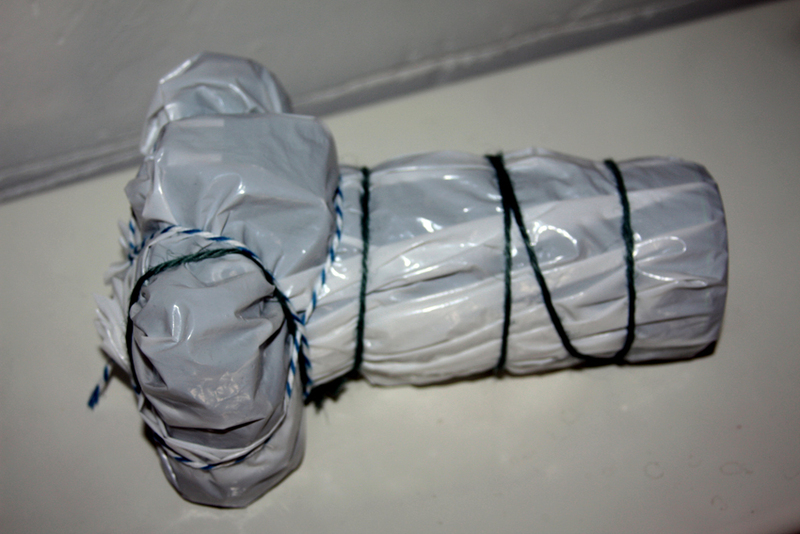 But after this I wanted to use the camera to shoot some pictures, therefore I unpacked her.